When Thang Sian Khai joined our Sophia Home in Tamu, Burma, just 6 years old. He had never been to school due to living in a very remote, rural village. At Stand by Me he received regular meals, a loving home, medical care and a great education to give him a bright future. Thang Sian Khai will make the most of this chance to study to become a teacher. We are certain that he will be an amazing teacher as he seeks to give children the best education that he so valued as a child. 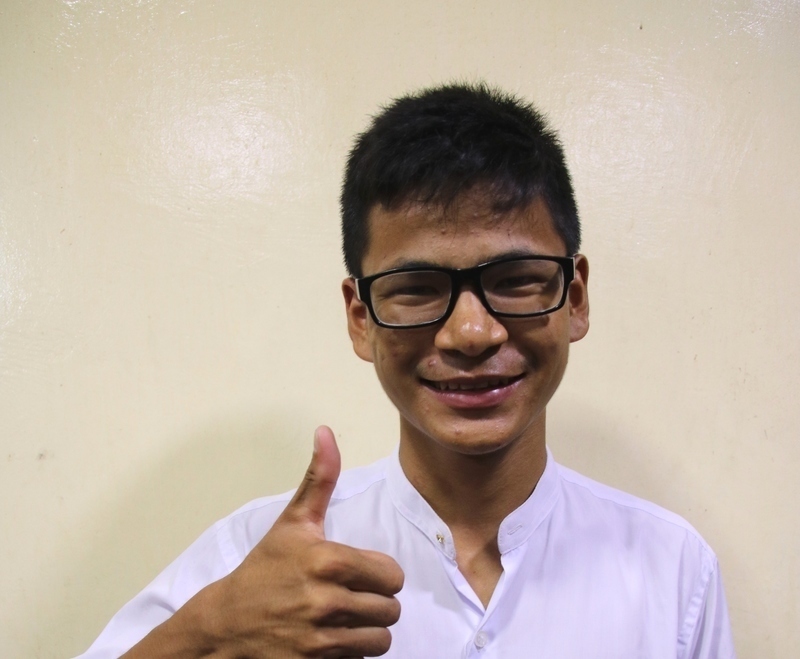 Sponsoring a child like Thang Sian Khai supports the cost of their education and care and gives them the confidence to dream big for their future. Visit our sponsorship page to stand by a child today. Our kids in Dembi Dollo are energetic and have an eagerness to learn but their families do not have adequate income to afford everyday items such as new clothes and school uniforms. That’s why we provide our children around the world with new uniforms and our kids in Dembi Dollo recently received theirs. Laura started to notice a large mass on her foot which caused her pain and was beginning to deform her foot. We stepped in to help and Laura underwent an operation to remove the mass.